Attend this official (ISC)2® CISSP certification course and get prepared to pass the exam and become a CISSP. 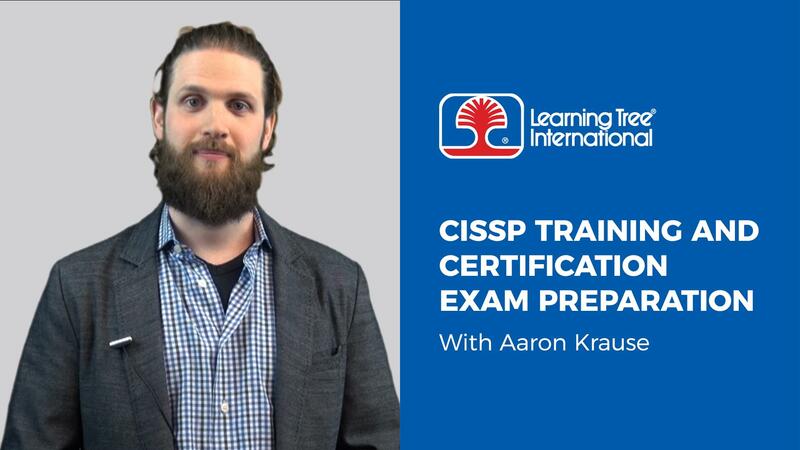 You will gain the foundational knowledge to fully prepare for the exam, including a comprehensive understanding of the CISSP® CBK® 8 domains. Your course tuition includes the current Official (ISC)2® Guide to the CISSP® CBK®, and a voucher that allows you to take the exam at any Pearson VUE Test Center. Learning Tree’s CISSP training course includes 29 hours of Instructor-Led Training (ILT) or Virtual Instructor-Led Training (VILT) presented by a real-world CISSP expert. You will acquire the skills and knowledge needed to pass the CISSP certification. Do I get a CISSP study guide? Yes. Your course tuition fee includes the current Official (ISC)2® Guide to the CISSP® CBK®. The standard cost of the CISSP exam is $699 USD, but a voucher for the exam is included in the price of course tuition fee. How can I maintain my CISSP certification? Do you offer CISSP online training?